Flamingo and Vicky met for lunch at Granville Island, Vancouver, Canada where there's all sorts of artist markets, craft and bookshops, and a huge public market with fresh produce and fish, entertainers, crafts, and kiosks for various ethnic foods. 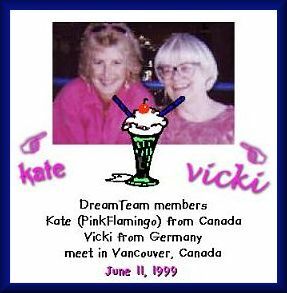 Flamingo wore a pink blouse and her 'Pink Flamingo' earrings so that Vicky would recognize her. 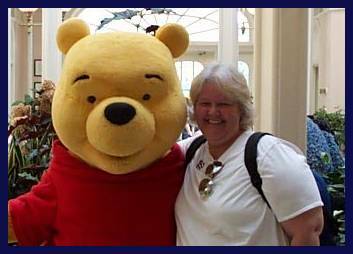 Vicky and her family were on a tour of British Columbia and then on to their hometown Toronto, Ontario. I would love to have been there!